"Home, Sweet Home" is a drama, included in our program to illustrate the work of two of our stars: actor Robert Harron and cinematographer Billy Bitzer. Josephine Crowell grieves as Henry Walthall leaves home in "Home, Sweet Home" (1914) part 1, directed by D. W. Griffith, cinematographer Billy Bitzer. Dorothy Gish witnesses the goodbyes of her sister and her boyfriend in "Home, Sweet Home" (1914) part 1, directed by D. W. Griffith, cinematographer Billy Bitzer. Lillian Gish and Henry Walthall say goodbye in "Home, Sweet Home" (1914) part 1, directed by D. W. Griffith, cinematographer Billy Bitzer. Dorothy Gish reacts to the kiss that her sister receives from her boyfriend in "Home, Sweet Home" (1914) part 1, directed by D. W. Griffith, cinematographer Billy Bitzer. Lillian Gish and Josephine Crowell read a letter from Henry Walthall in "Home, Sweet Home" (1914) part 1, directed by D. W. Griffith, cinematographer Billy Bitzer. Lillian Gish waits for Henry Walthall filled with hope in "Home, Sweet Home" (1914) part 1, directed by D. W. Griffith, cinematographer Billy Bitzer. 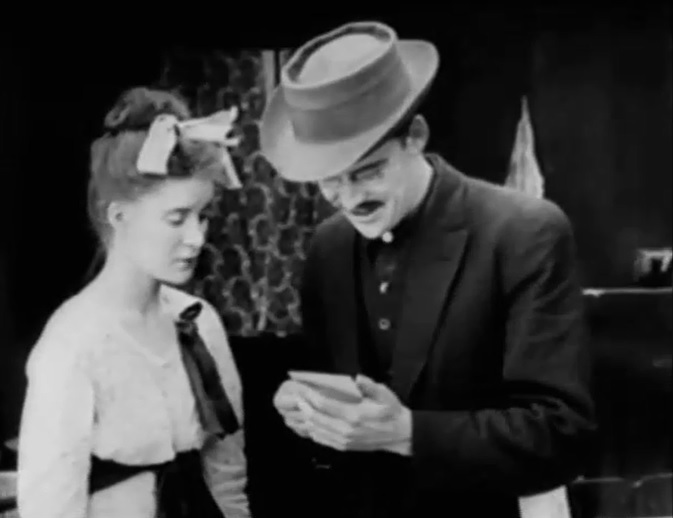 Driven by homesickness Henry Walthall writes a song in "Home, Sweet Home" (1914) part 1, directed by D. W. Griffith, cinematographer Billy Bitzer. 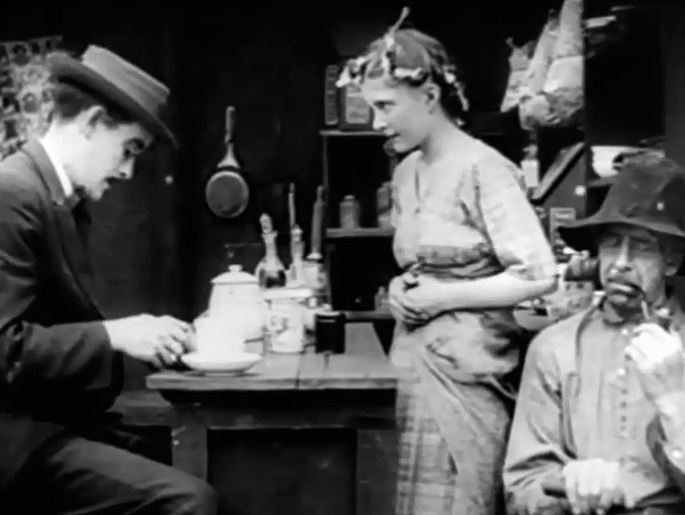 Robert Harron meets Mae Marsh in "Home, Sweet Home" (1914) part 2, directed by D. W. Griffith, cinematographer Billy Bitzer. Robert Harron proposes to Mae Marsh in "Home, Sweet Home" (1914) part 2, directed by D. W. Griffith, cinematographer Billy Bitzer. Robert Harron gets a "No!" from Mae Marsh in "Home, Sweet Home" (1914) part 2, directed by D. W. Griffith, cinematographer Billy Bitzer. 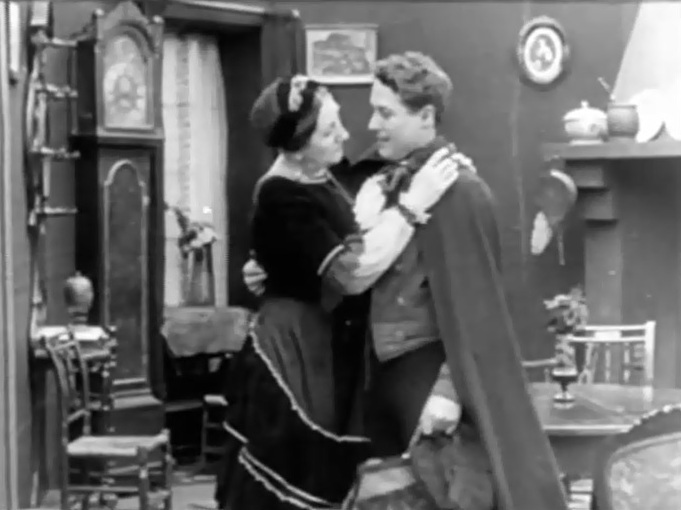 Robert Harron and Mae Marsh still commit to each other in "Home, Sweet Home" (1914) part 2, directed by D. W. Griffith, cinematographer Billy Bitzer. 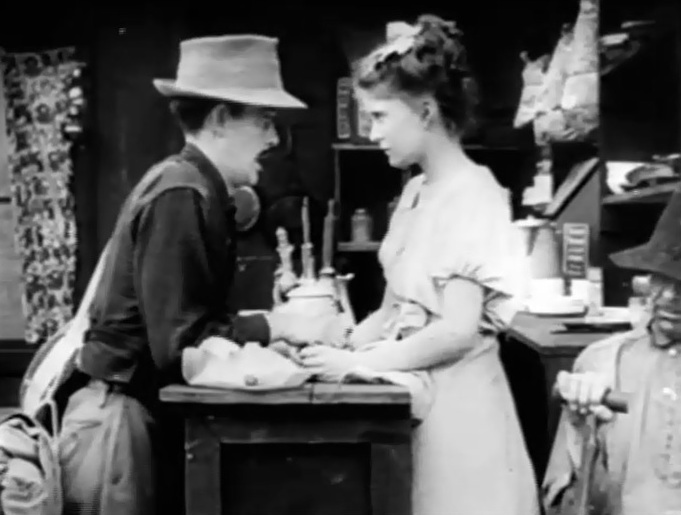 Robert Harron gets a souvenir from Mae Marsh before leaving for a while in "Home, Sweet Home" (1914) part 2, directed by D. W. Griffith, cinematographer Billy Bitzer. 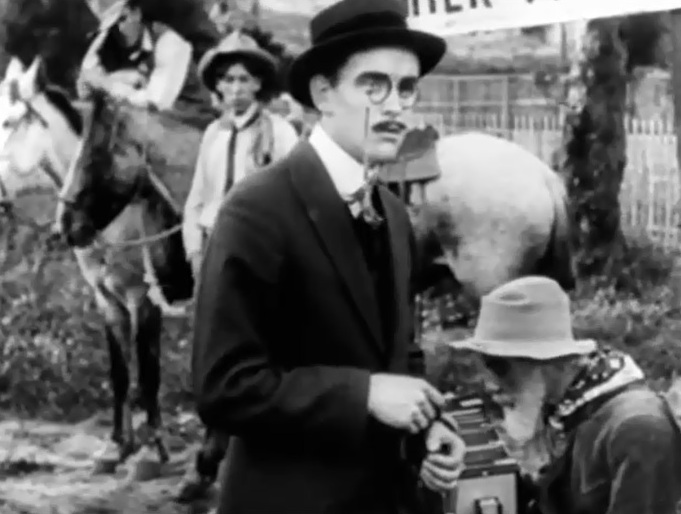 Robert Harron looks at the souvenir received from Mae Marsh in "Home, Sweet Home" (1914) part 2, directed by D. W. Griffith, cinematographer Billy Bitzer. 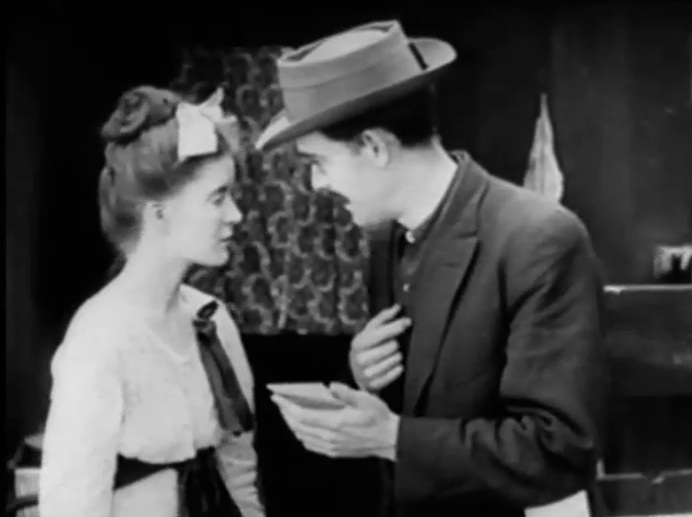 Robert Harron gives a souvenir to Mae Marsh before leaving for a while in "Home, Sweet Home" (1914) part 2, directed by D. W. Griffith, cinematographer Billy Bitzer. 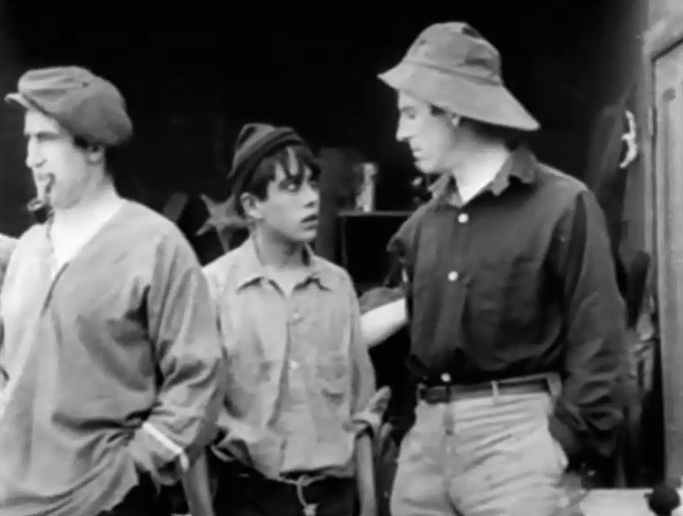 Robert Harron pauses before leaving Mae Marsh's town for good in "Home, Sweet Home" (1914) part 2, directed by D. W. Griffith, cinematographer Billy Bitzer. 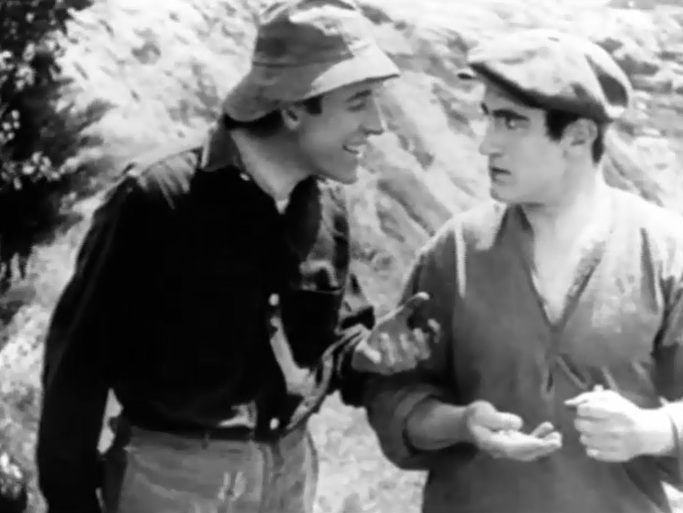 Donald Crisp, Jack Pickford and James Kirkwood are three brothers in a family drama in "Home, Sweet Home" (1914) part 3, directed by D. W. Griffith, cinematographer Billy Bitzer. 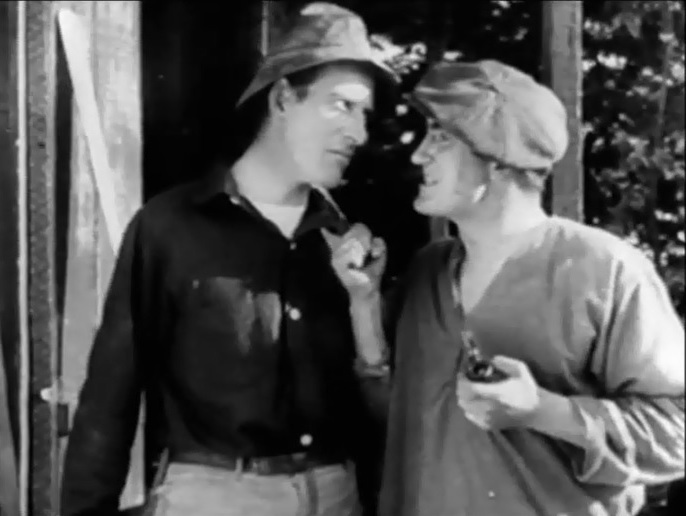 Donald Crisp is defied by James Kirkwood in "Home, Sweet Home" (1914) part 3, directed by D. W. Griffith, cinematographer Billy Bitzer. Donald Crisp in turn defies James Kirkwood in "Home, Sweet Home" (1914) part 3, directed by D. W. Griffith, cinematographer Billy Bitzer. 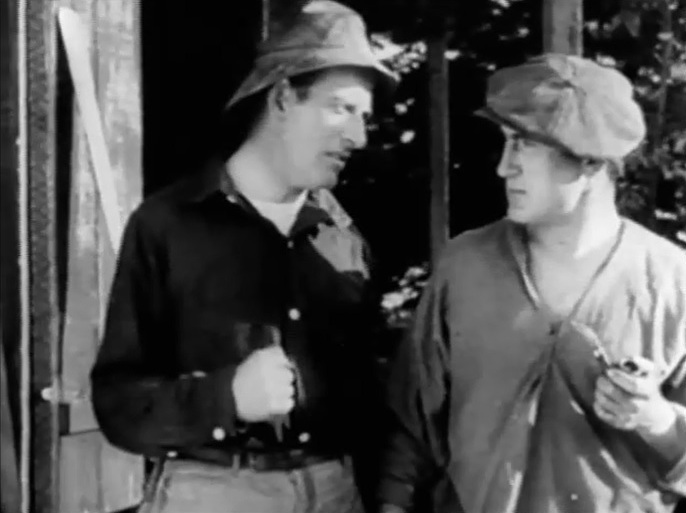 James Kirkwood demands in vain money from Donald Crisp, and eventually this will doom both in "Home, Sweet Home" (1914) part 3, directed by D. W. Griffith, cinematographer Billy Bitzer. Courtenay Foote and Blanche Sweet are happy newlyweds in "Home, Sweet Home" (1914) part 4, directed by D. W. Griffith, cinematographer Billy Bitzer. Courtenay Foote goes to the club as Blanche Sweet is left unhappy behind in "Home, Sweet Home" (1914) part 4, directed by D. W. Griffith, cinematographer Billy Bitzer. A tempter (Owen Moore) offers an affair to Blanche Sweet, but she is reluctant in "Home, Sweet Home" (1914) part 4, directed by D. W. Griffith, cinematographer Billy Bitzer. Owen Moore persists and Blanche Sweet hesitates in "Home, Sweet Home" (1914) part 4, directed by D. W. Griffith, cinematographer Billy Bitzer. Owen Moore persists even more and Blanche Sweet almost yields in "Home, Sweet Home" (1914) part 4, directed by D. W. Griffith, cinematographer Billy Bitzer. Owen Moore finally gets Blanche Sweet's consent in "Home, Sweet Home" (1914) part 4, directed by D. W. Griffith, cinematographer Billy Bitzer.